We work in both commercial and domestic fields and welcome enquiries from Property Letting agents. We are both Gas Safe and Oftec registered. AJB services is a family run business driven by its core values of honesty, integrity and outstanding customer service. We have grown over the years on the strength of these values. As part of our values, we will always try and fix a problem before we replace a part, we are open about any process involved to sort problems out, (including elements of cost), and we always try to keep to any appointment timings provided and we will let you know if we are running late. Providing information and good communication is really important to us. 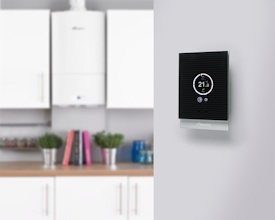 We can also remind you of annual servicing requirements for your boilers. WE COVER CHESHIRE, WIRRAL, MERSEYSIDE AND NORTH WALES. Call us now! We always go the extra mile to help! Our thanks to Adam and Darren for doing such a sterling job! Thank you for getting my oil boiler sorted so quickly! I was delighted with the professional, courteous and pragmatic way Adam completed his work ensuring the restaurant opened on time and within the budget agreed. Many thanks for the work here, it is so nice to get up in the morning to warm house!